Do you love teaching young children and have a passion for nature? Are you creative, energetic, engaging and genuinely interested in connecting young children to the natural world? 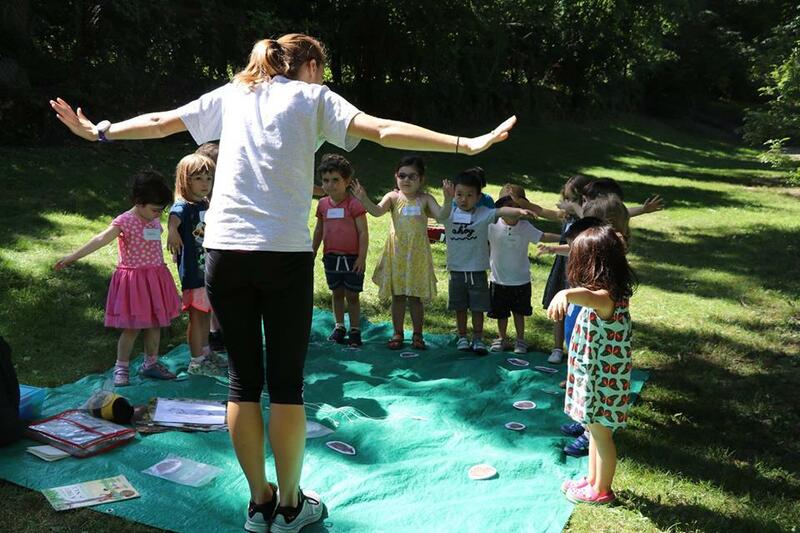 PUDDLESTOMPERS Nature Exploration is looking for an outstanding candidates to teach nature programs to children ages 2-8 in the Greater Boston area. PUDDLESTOMPERS™ Nature Exploration's mission is to connect the youngest naturalists and their parents and caregivers to the open spaces in their communities. Based in Newton, MA we serve the Greater Boston area through offering Child/Adult Classes, Drop-off Vacation Programs, Preschool Enrichments, School Programming for Grades K-2nd, and Weekly Summer Programs. Join the PUDDLESTOMPERS team today! PUDDLESTOMPERS™ Afterschool Programs explore the outdoors through active science-based activities, hands-on exploration, active movement, stories and games! This program is offered for PreK to 2nd graders and is know as the Outdoor Explorers program. Each week children learn about a new topic in nature. All of our lesson topics are designed to span all seasons and to highlight what is gong on in nature during that specific season. At the end of each program, we provide a take-home handout that includes: factual information, a list of related books, exploration, project ideas, and online resources. Lead children in outdoor exploration using hands-on activities, songs, games, stories and projects. You would primarily be teaching after school classes for K-2nd grade, which are held in the afternoon (typically for 1 hour) at local schools. This is a part-time position; the number of classes per week may vary depending on season. $30-$45/class, depending on length. Monday through Thursday openings, possibly other days as well. PUDDLESTOMPERS™ Nature Exploration's mission is to connect the youngest naturalists, ages 2- 8 (and their parents and caregivers) to the open spaces in their communities. Based in Newton, MA we serve the Greater Boston area through offering Child/Adult Classes, Drop-off Vacation Programs, Preschool Enrichments, School Programming for Grades K-2nd, and Weekly Summer Programs. Assistant Teacher Naturalists are responsible for providing general support to the Lead and Hiker Teachers and children during the program. Help to engage children in outdoor exploration through hands-on investigation, active movement, games, songs, stories, and art projects. Provide support to Lead and Hiker teachers by leading children in free play activities and organizing games for children ages 3-6. This is a part-time position from 8:30am-1:00pm daily, with opportunities for extended day from 1:00-3:00pm. Our primary Summer Locations are: Newton Nahanton Park, Newton Auburndale Cove, and Wellesley Recreation Center. Compensation is $12/hour. Summer positions have a flexible schedule based on registration, with weekly commitments from June - August. Our Summer 2019 camp season is June 3rd - August 30th. There is potential for daily teaching opportunities during our April Vacation program (April 16th - 19th).